1.) 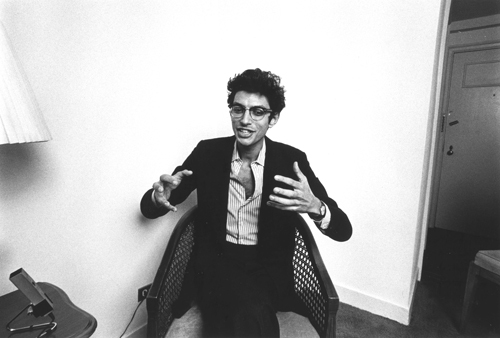 I am thankful for Jeff Goldblum’s hands. Those hands touched my nose once. They also probably touched 4 million vaginas and the thought of 4 million vaginas touching my nose is scary, but I’m still thankful for his hands. 2.) 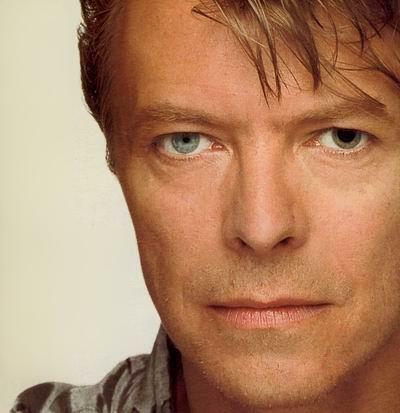 I am thankful for David Bowie’s weird eye. I’m sure he’s thankful now, but when he got stabbed in the eye, he probably wasn’t thankful. In fact, he was probably screaming in pain and cursing life for being so cruel. 3.) 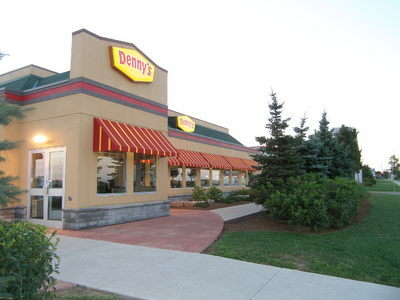 I am thankful for Denny’s. When the real world gets to be too much and I’m tired of having to act like a concerned and responsible adult, I can crawl underneath the fiberglass booths and weep for the days of my childhood on the Moons Over My Hammy-stained carpets. 4.) I am thankful that Austin now has an H&M though I’m too terrified of the long lines to actually go in there. 5.) I am thankful for Mrs. Meyer’s Basil-scented hand soap. Sometimes when I have nothing better to do, I will take a bottle of this soap and sniff it until I start to see the tiny angel-elves who make this delicious concoction. 6.) I am thankful for Magic Eraser. Though I have no idea what they’re made out of and that they strip the paint off of walls and that in twenty years there will be a legion of mutant babies born from parents using these things, the fact that it can remove stains and marks from hard surfaces never ceases to amaze me. 7.) I am thankful for White Cheddar Cheez-its and the great joy they bring me when a.) I’m having my period b.) sitting on the couch, drunk, watching Purple Rain and crying about the fact that Prince is now 54 years old and that we’re all going to die one day. 8.) I am thankful for Rumple Minze. Look, when you lose your job and you go to a karaoke bar to sing your troubles away and you ask the bartender for the “cheapest, but strongest drink” and this is what she gives you and you end up not only forgetting about the fact that you just lost your job, but you end up taking off your pants and telling the crowd that you are about to wow them with your “Steve Perry skills” , Rumple Minze ends up holding a very special place in your heart for many years to come. 9.) 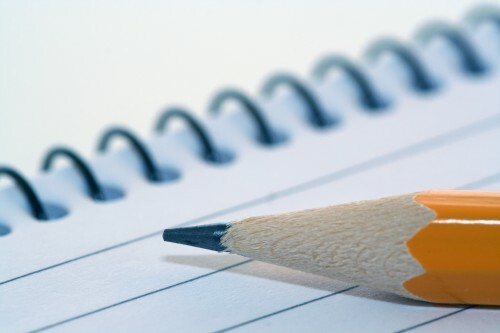 I am thankful that pencils and paper have not been eradicated from the planet. Though I’m a blogger and social media nut, I still like to use pencil and paper as my means for keeping notes and calendar appointments. Side not: if I’m late to an appointment with you or I do not show up at all, this is why. 10.) I’m thankful for you. You prevent me from actually drinking Rumple Minze and eating White Cheddar Cheez-its on a nightly basis. How about Rumple Minze-flavored Cheez-its? White cheddar cheese its we’re a staple in my house for a long time. Damn you healthy lifestyle changes! The magic eraser knows no limits. Except ball point pen. It will grow to be your most treasured item when you have kids. Is there a white cheddar cheez-it healthy alternative at Whole Foods or Wheatsville? It must exist! It’s like you’re reading my mind…for some of these…Mrs. 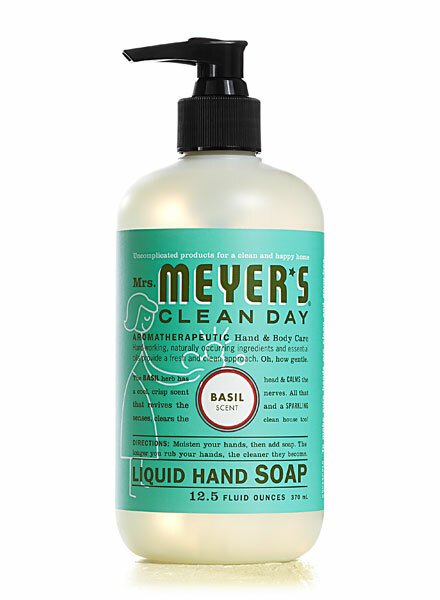 Meyer’s Basil Hand Soap is my all & my everything. I also love the Basil Countertop cleaner. I recently found this at Target & now I actually clean the counter every night instead of just when I feel gunky stuff on it. Magic Erasers?? C’mon…I’m a Mom!! I buy these things in freakin’ bulk now! They’re really & truly like magic!! White Cheddar Cheezits are AMAZING!! Why eat the gross orange ones when there are white ones? I originally got turned onto these when I was in DC right after I got married. My brother got sent back from his first tour in Iraq early because he had to be treated for leishmaniasis (a skin disease carried by sandflies). I took the Metro up to Walter Reed & stopped at a food cart to get a snack before I walked from the Metro Stop to Walter Reed. The cart guy didn’t have any orange Cheezeits, only white so I gave them a shot. I’ve never looked back. PS. My brother is fine now, getting ready to deploy for his 4th time. Happy Thanksgiving, Tara! I’m glad your brother is better now. 4th time?! Holy crow! Brave man! I didn’t know they had basil-scented countertop cleaner. I will have to look for it! I should have added Target on my list of what I’m thankful for. Laughing out loud at Goldblum’s hands! That picture of you is awesome, by the way. Pants or no pants. I am thankful for this post and your writing.